Franklin Police want to identify these suspects, wanted for breaking into the UPS facility on Seaboard Lane. At 9pm last Saturday, the suspects forced their way in through an overhead bay door. Once inside, they stole 10-15 packages, including a box of wine and several cell phones. The loss is estimated in the thousands. A downtown-area water main break is expected to affect Franklin’s morning rush hour. Franklin Road near Old Liberty Pike is down to one lane. Flaggers are on scene to allow travel in both directions, but heavy delays should be expected. 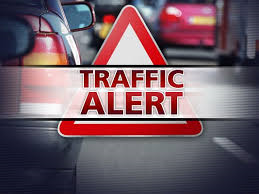 The break has closed both Daniels Drive and Old Liberty Pike at Franklin Road. Repairs are expected to take hours. Homes and businesses in that area are currently without water. 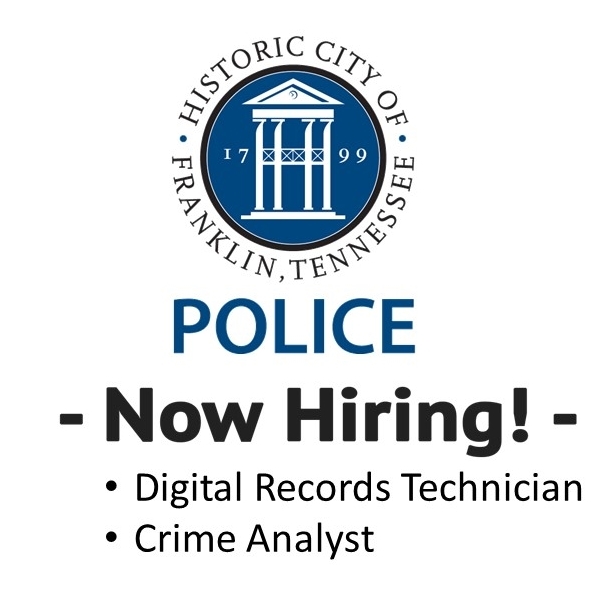 The Digital Records Technician reports to the Public Affairs Lieutenant, providing highly-technical assistance with downloading, securing, maintaining, and storing all digital recordings, evidentiary and non-evidentiary, created by Franklin Police Officers in the course of their official duty. This position will assist with the fulfillment of digital record copies needed by the District Attorney’s Office, command staff for administrative review needs, and other official purposes. The Digital Records Technician will provide the Public Affairs Lieutenant with legally and appropriately redacted records that satisfy open records requests. The Digital Records Technician will complete or assist with the field acquisition, preservation, and enhancement of surveillance video at secondary locations captured by third-party systems, and will enhance or assist with the enhancement needed for investigation and/or public release to aid in the arrest of wanted suspects. 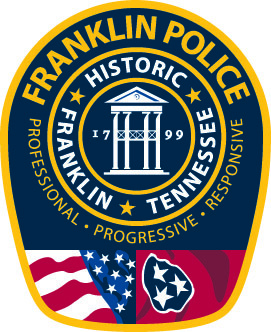 This position will assist in the production of graphics and other digital media needed for promotion by Franklin Police Public Affairs, and other tasks as directed by the Public Affairs Lieutenant. The ideal candidate will have existing proficiency in the application of video effects like blurring, stop frame editing, picture enlargement, variable speed editing, and subtitles. Ready-ability to enhance picture clarity by removing tiling artifacts caused by overly compressed video. Existing familiarity with multiple video formats. 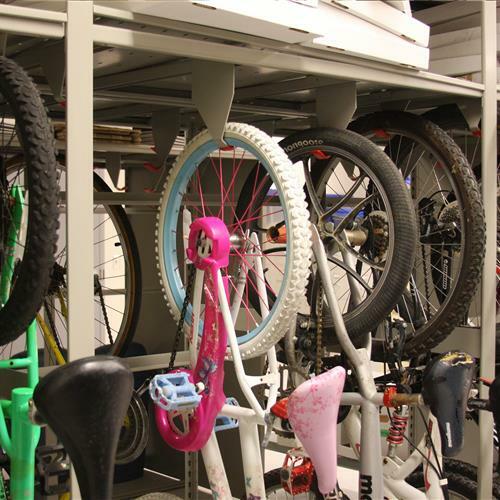 Organizational skills to maintain a structured video archive. Experience using video “highlight” effects to spotlight and follow specific areas of a video frame to increase intentional, targeted visibility. Ability to prepare and assist with the distribution of copies of digital recordings to authorized requestors. Capacity to adapt to and learn new software programs quickly. 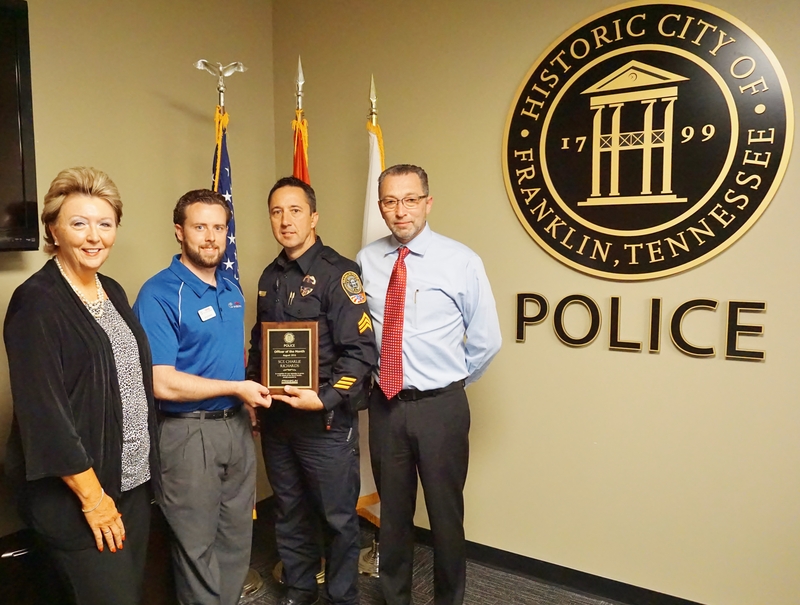 Ability to gain thorough knowledge of policies, procedure, and activities of the Franklin Police Department, and TN law pertaining to the performance of duties related to this position. Existing, comprehensive understanding of video/audio editing software. Ability to use independent judgment as situations warrant. Comprehensive knowledge of terminology, principles, and methods required for this position. click here to read the full job posting and to apply. This Crime Analyst position reports directly to the Chief of Police. This is a law enforcement function whereby data relating to crime are collected, collated, analyzed, and then disseminated to Police personnel. This position provides timely and pertinent information relative to crime patterns and trends. Information is collected from crime reports, calls for service (CAD), crash reports, arrest reports, field interviews, intelligence reports, information received from other police agencies and law enforcement networks, and other sources. The Crime Analyst is responsible for performing statistical analyses relevant to temporal and geographic distribution of various crimes and identification of other variables related to crime incidence. Prepares written and oral briefings for department personnel and provides required reports to the Accreditation Manager. A critical skill of this job is to represent the department with professional customer service. This position must demonstrate job knowledge and skill, the ability to organize work, process and maintain documentation, and understands the criticality crime analysis is to the department’s mission of community service. The ideal candidate has thorough knowledge of the policies, procedure, and activities of the City and law enforcement practices as they pertain to the performance of duties relating to this position. Has thorough knowledge of statistical and analytical practices as necessary in the completion of daily responsibilities. Has thorough knowledge of current changes in policy, methods, computer operations, equipment needs, etc. Is skilled at effectively communicating and interacting with supervisors, co-workers, and all groups involved in the activities of the department. Is able to use independent judgment as situations warrant. Has comprehensive knowledge of the terminology, principles, and methods utilized within the department. The Department has scheduled our fifth offering of this free 1.5 hour seminar, designed to help keep citizens safe during the unthinkable. 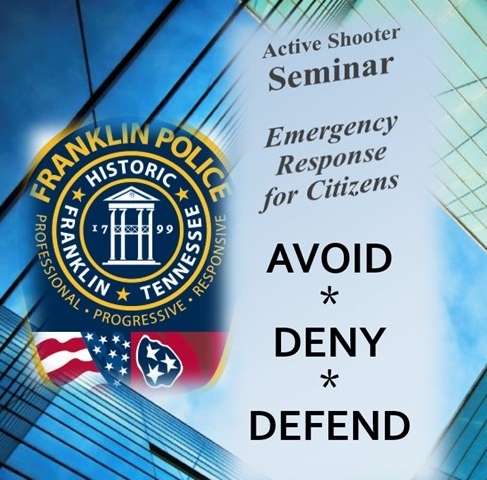 On August 29, Franklin Police Officers will share with citizens, employers, and community leaders, way to improve their response to an unforeseen, mass violence encounter. During the one and a half hour seminar, officers will discuss three main, national best practices: Avoid, Deny, Defend.